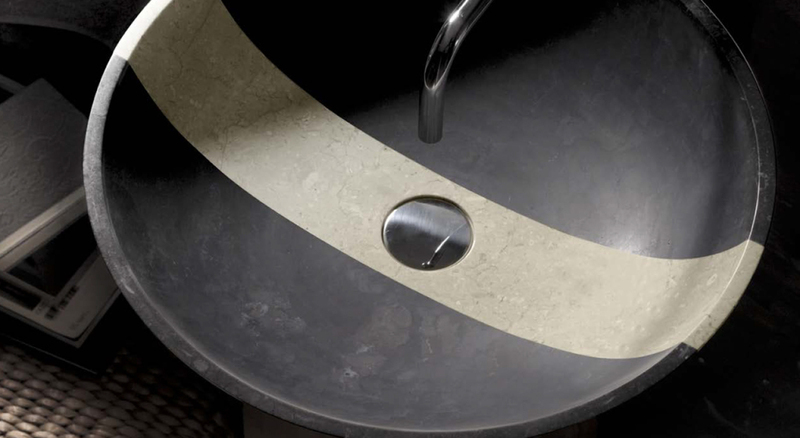 Achieving leadership through materials innovation: Bathco and Stimulo partnered to develop a unique series of bicoloured marble pieces. 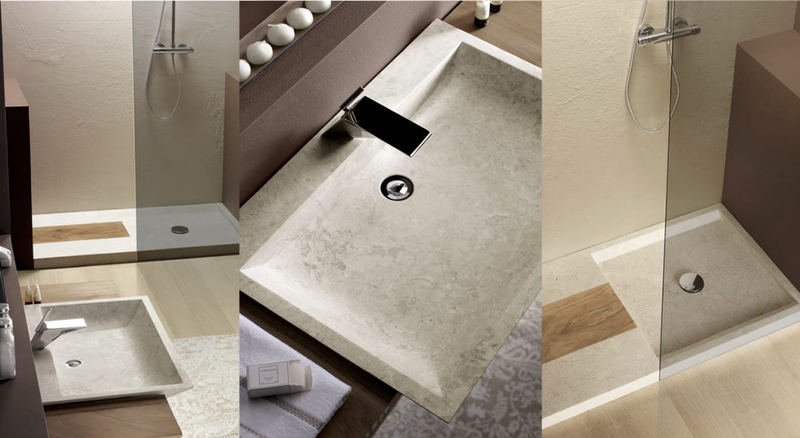 Bathco is a Spanish company with more than 30 years’ experience in the sanitary ware business. 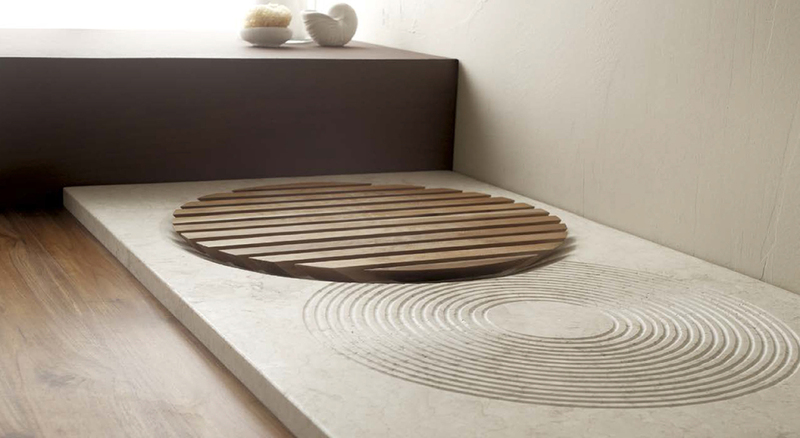 In a highly competitive market where there is little innovation and differentiation, Bathco and Stimulo found an opportunity to innovate thanks to the combination of natural marble blocks of different colours. 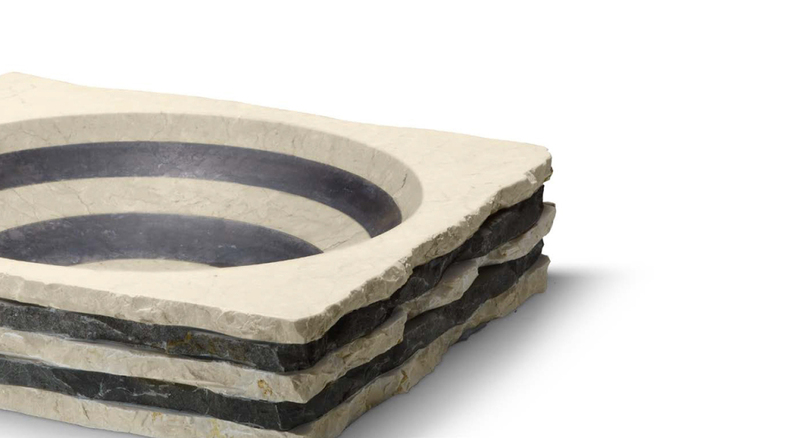 By putting together the last technology and handcrafted work, we achieved excellent matt polished finishes, giving this metamorphic stone a premium quality touch. 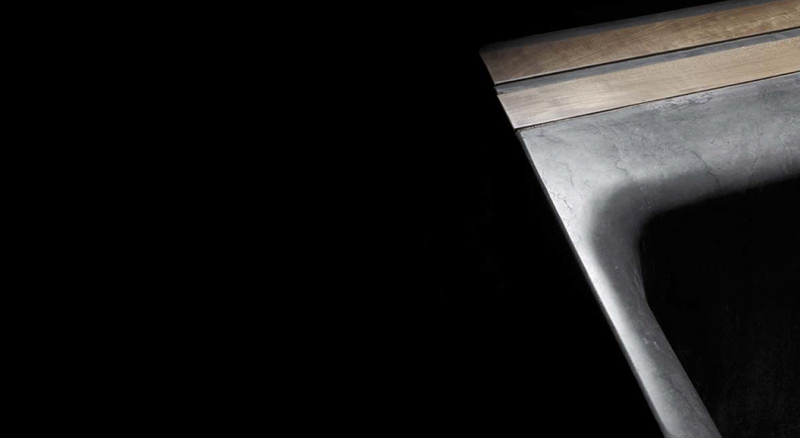 In addition to this, we used teak wood to give the series a nobler look. 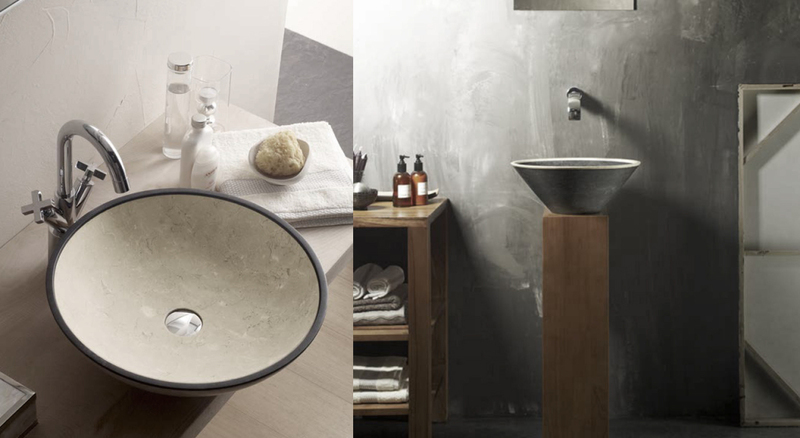 The result is a full range of minimal and elegant washbasins, furniture sets, shower trays and bathtubs. 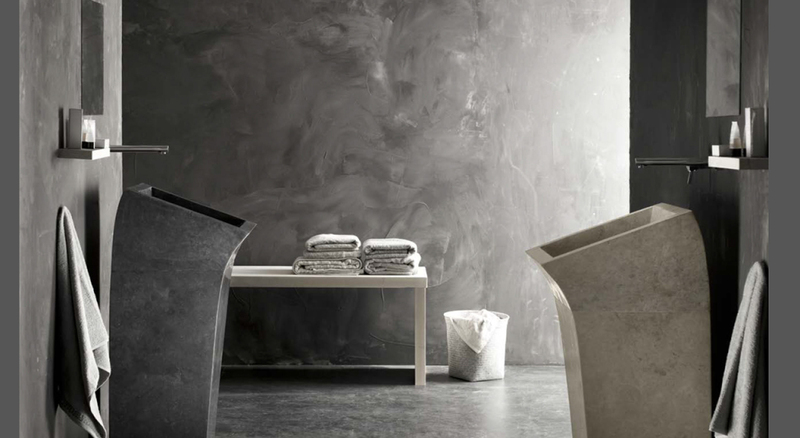 Given the premium quality of these marble and stone pieces, Bathco and Stimulo decided to create a sub brand, Natural Series, to effectively communicate this high-end positioning. 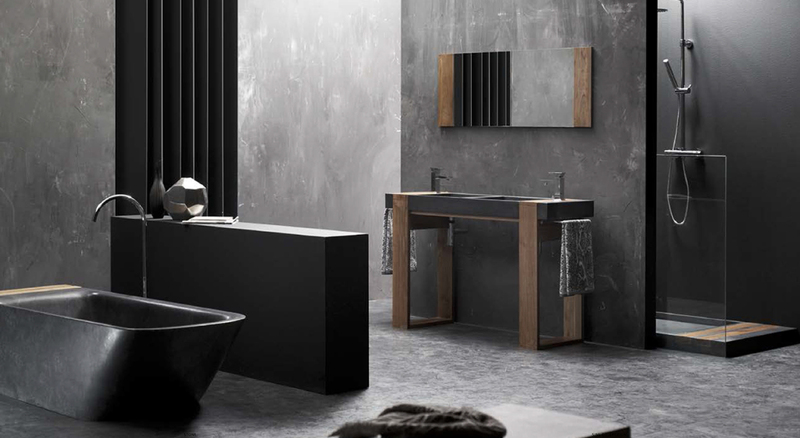 Natural Series helped positioning Bathco as an innovative & design-oriented company.